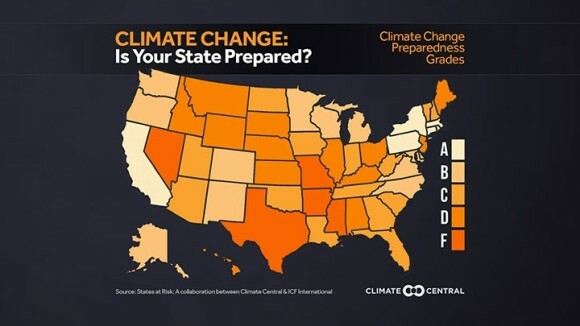 In a recent article, Sarah Tory from High Country News asks, “Is the West Prepared for Climate Change?” According to findings from the States at Risk Project, a nationwide report card released by consulting firm ICF International and non-advocacy science and journalism organization Climate Central, most Western states are vulnerable to future increases in extreme heat, drought, and flooding. Interested in participating in a nationwide community that is tracking weather and ecological changes? iSeeChange could be just the outlet. iSeeChange is an environmental reporting platform combining citizen science, participatory public media, and satellite and sensor monitoring of environmental conditions. The iSeeChange initiative synchronizes local citizen climate reports with satellite data Combining these two perspectives—a global view of the earth from space and a granular view from individuals on the ground—offers an unprecedented opportunity to match big science with daily life, and surface hidden patterns and stories. 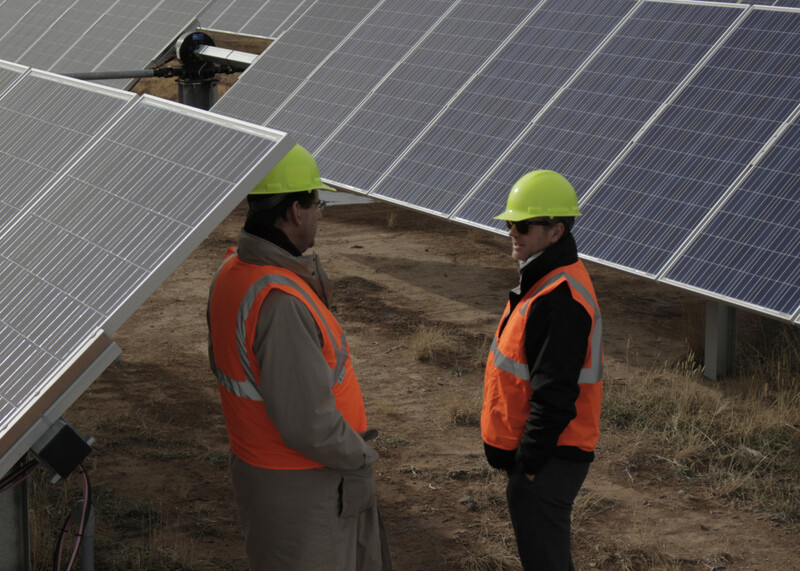 According to the St. George News, after 8 years of planning, Utah’s first functioning utility-sized solar power plant is now up and running in Parowan, UT. “Investors, developers and government officials from across the globe and Utah gathered to celebrate the completion of the project with food, music and tours of the facility — despite threats of storm clouds on the horizon. See the full story, here. Pandora Thomas is a passionate global citizen who works as a teacher, writer, designer and speaker. Her writing includes “Shades of Green” for individuals wanting to teach green building to youth. Pandora co-founded Earthseed Consulting LLC, a holistic consulting firm whose work expands the opportunities for sustainable living for diverse communities. Her current projects include the Black Permaculture Network, Pathways to Resilience – a permaculture and social entrepreneur training program for men returning home after incarceration – and working with Toyota to design the Toyota Green Initiative, which supports African Americans in understanding the benefits of adopting sustainable lifestyles. In 2014, Envision Utah conducted a values study to understand Utahns’ priorities and attitudes, to identify the factors related to quality of life that matter most to residents, and to determine why those factors are important to Utahns. Over a two-month period, 52,845 Utahns shared their voice through the Your Utah, Your Future survey. The survey asked what Utahns wanted to see in the future regarding 11 different topics, and then asked them to choose an overall scenario for 2050. The survey results were cross-checked against a random-sample survey to ensure it represented the desires and opinions of Utahns. The survey engaged a broad cross section of Utahns in terms of location, age, income, gender, and ethnicity. For the future of air quality, the number one request by Utahn’s was to reduce emissions as quickly as possible so that all parts of Utah are well within federal health standards for air quality year-round. The number one request for energy is to diversify our energy sources. Regarding the future of recreation, the number one pick was to provide access to outdoor recreation near people’s homes through a network of parks, trails, and open space. See these, and many other results to this extensive, insightful survey of what Utahns want for their future, here: http://yourutahyourfuture.org/. From the Standard Examiner: One day after the Governor held a meeting on air quality and growing the energy industry in Utah, the outdoors industry came forward with a petition to curb state coal emissions. The Governor’s Office of Energy Development moderated a symposium Tuesday exploring ways to improve Utah’s air quality while boosting the energy industry. Much of discussion focused on perceived economic barriers from federal rules, like more restrictive ozone pollution standards and a plan for reduced emissions from power plants. But a coalition including outdoor business leaders, athletes, park advocates and environmental groups gathered 30,000 signatures for a petition asking for stronger restrictions on coal power plant pollution. The coalition is particularly concerned about visibility issues at Utah’s famous national parks. Utah State University won first place in the college/university division of the National Bike Challenge, logging more miles from more cyclists than any other school. The 220 USU students and employees registered for the competition rode 76,157 miles, burned more than four million calories, averted 28,604 pounds of carbon dioxide and saved $17,957. SALT LAKE CITY, UT—Vivint Solar, Inc. (NYSE:VSLR), along with the Governor’s Office of Economic Development (GOED), recently announced that the solar energy company will continue to expand its operations in Utah, with the anticipation that over the next 10 years it will generate more than 3,000 jobs in conjunction with an estimated $91 million in additional capital investment within the state. SALT LAKE CITY, UTAH—Together with the Governor’s Office of Economic Development (GOED), SolarCity (Nasdaq: SCTY) announced this summer that it will open a regional corporate headquarters in Utah, resulting in up to 4,000 jobs and $94 million in capital investment over the next 10 years. What Percentage of People in Your County Believe Global Warming is Happening? The Yale Project on Climate Communication recently released updated Climate Opinion Maps. Public opinion about global warming is an important influence on decision making about policies to reduce global warming or prepare for the impacts. This type of polling is generally done at the national level, because local level polling is very costly and time intensive. The Yale team of scientists, however, has developed a geographic and statistical model to downscale national public opinion results to the county, congressional district, and state levels. Users can now estimate and visualize differences in opinion across the county and a clearer picture of the diversity of Americans’ beliefs, attitudes, and support for policy comes into focus. For instance, nationally, 64% of Americans think global warming is happening. But the model shows that only 44% of people in Spencer county, Indiana agree. Meanwhile we estimate that 60% in the nearby Vanderburgh county, Indiana believe global warming is happening. This research and website are funded by the Skoll Global Threats Fund, the Energy Foundation, the 11th Hour Project, the Grantham Foundation for the Protection of the Environment, and the V.K. Rasmussen Foundation. For further questions about these maps or what they mean, please see the Yale Project on Climate Change Frequently Asked Questions page.